What one must understand is that when we see a spiritual move of God like we saw at Christmas time in America and other parts of the world it has been both years in the making and is just the beginning. God has been at work behind the scenes, so to speak, in the hearts and lives of His prophets and spiritual leaders first. Let me give some clarity on the use of the title “prophet” in today’s context. A prophet can be either male [called a prophet] or female [called a prophetess]. The term prophet is typically used when referring to both in general instead of addressing one specific person. New Testament prophets are not the same as Old Testament / Ancient Prophets. Much of their purpose is the same but not their entire purpose and they function differently. The key difference between Old Testament and current day New Testament Prophets and Prophetess can be found in their prophecies. The prophecies of the Ancient Prophets, the prophets of the Old Testament time period, structured Biblical text and gave Biblical prophecies. The prophecies of the current day New Testament Prophets do not add to Biblical text or change Biblical prophecies; their prophecies illuminate what has already established in God’s Word. Both urge God’s people and their society to follow God’s Will, directives, principles and ways. Below I have provided the actual Hebrew and Greek definitions for the words prophet and prophetess for further contemplation. 5029. נְבִיא nebı̂y˒ (Chald. ), neb-ee’; corresp. to 5030; a prophet:— prophet. 5197. נָטַף nâṭaph, naw-taf’; a prim. root; to ooze, i.e. distil gradually; by impl. to fall in drops; fig. to speak by inspiration:— drop (-ping), prophesy (-et). God opens the eyes of His prophets and spiritual leaders to see Him at work in their society prior to others becoming aware. He changes their hearts and their lives first. God gives them a passion and understanding of His direction and will first. They suffer the persecutions and pitfalls first. Then when God moves they are ready, thanks to the grace of God, and can show others the way. Prophets and spiritual leaders have known for years that Revival was coming to America. Therefore, when people began to ask, ‘Is religion and godly spirituality making a comeback in American Culture?’ they are not shocked they are instead saying, ‘What has taken us so long?’. These individual have been watching the signs, discerning the spiritual climate, and connecting the dots found in the news of the day for a while. This posting will address more of what many would label the negative side of spiritual change or revival and the next posting will address what many would label the positive side of spiritual change or revival. I believe there is no negative side to revival. Revival is a move of God and is therefore positive but even positive things have difficult or challenging aspects. There are those who indicate that spiritual change comes in twenty-year cycles throughout history. I do not go in much for patterns and I firmly believe you cannot put God in a box. God is going to do what God wants to do, praise be to God! I will state however that next year it will be twenty years since I left mortgage banking to go into fulltime ministry and I have seen and experienced significant winds of changes in the spiritual/religious culture of America. Let us examine some of the changes and signs that indicate God is currently at work within our society and spiritual communities. In 1998 when a group of us began, what we dubbed “cyber ministry” our opponents at the time thought the idea was ridiculous and would never catch on. Today it is commonplace and according to many their primary source for Christian godly spiritual teaching and counsel. There was a recent study done on why American Churches were emptying in recent years. There were and are many factors for why this is happening – to include but not exclusive to apostasy in the Christian community, lack of true community, apathy and detachment by leaders, growing distrust among people, etc. Nevertheless, the main reason younger people indicated they were not a part of a local church, nor did they intend to be, was because they were able to get more of their questions answered and concerns addressed via online ministries. I firmly believe we need both functioning together the proper way. The congregations who have incorporated both seem to have faired better than those who have not embraced “cyber ministry” as part of their local community. If the local church wishes to thrive again, as it once did, many things will have to change. We have seen American forms of religious persecution on the rise in recent years. Where you find revival, you find persecution. Persecution goes down the line usually in this order – prophets, spiritual leaders, servants, Christians in general. Both nationally and locally we have seen persecution play out in our news and other sources of mass media both Christian and secular. I will not name people but you will recall the stories of some, as I write in generalities. The child in kindergarten who was suspended from school for saying Jesus healed him. People jailed for preaching the Word of God on a public street – street preachers they are called. A pastor jailed for holding Bible Studies in his home. Both a nationally known and a locally known pastor, both jailed for domestic violence against their older teens because one stopped the child from leaving the home and the other popped the child on the shoulder and told them not to disrespect their parents; in both cases the children were out of control one privately in front of other family members and the other publically on church grounds. Ministers children have always been the targets of Satan but in recent times, society has given Satan a lot of help using these children against their parents. The governmental tax authorities assault in the last few years, upon ministries both large and small as well as everyday individuals who were, and are, outspoken opponents against the social and political issues of our day. People’s mental stability questioned due to their spiritual beliefs. Parent’s children taken from them because of their unwilling to accept societies ideas of how their children should be trained. I could go on and one but I will stop there, as my point has been made. The atheists attack on free speech has been a major form of persecution. Those who hate God wish to stiffly all speech of God, God’s Truths and God’s Principles. Yet ironically, they go after anyone who speaks out against certain social issues because their “rights” are being trampled on. What about the Christian’s rights? Christians, we do not give up our rights to man, we give up our rights for God. There is a major difference. The highly charged controversial issue surrounding Duck Dynasty family member Phil Robertson and A&E Television is a very public and current example of persecution due to someone speaking out about their religious/spiritual beliefs. There have been many people persecuted in this form in recent years but I use this incident as an example because even for the Sunday only Christian it has plucked a nerve to the degree that people are saying, ‘Enough is enough’. Do not think for a moment that others have not suffered, are not suffering, quietly and daily under this form of persecution. The huge rise in apostasy in recent years is also a clear sign that spiritual change and revival are coming. Whereas much of the American people would tell you they are Christians, the actual Devout Followers are only a small Current Spiritual Remnant. Many spiritual leaders who made certain changes to their ministries and local congregations in order to ‘reach the un-churched’ have now repented of those changes that took their congregations far from true allegiance to Jesus. The minimizing of the “CROSS” and the importance of Jesus’ work on the cross has been a part of that apostasy. Without the cross, there is no redemption. Without the cross, there is no salvation. The virgin birth of Christ and the resurrection of Christ are both undeniable lifelines for True Christianity but the Cross has been given a back seat in the ride of a lifetime and eternity. You cannot divorce the cross from the church or you have apostasy, nor can you hide the cross. Often God must bring people to the lowest point in order to bring about change. Well the winds of change are blowing and a whole lot of people are beginning to hear and feel them. I am going to take a break from the teaching series I have been writing and instead take up addressing a phenomenal spiritual issue, which has been sweeping America and other parts of the world this Christmas season. I will be covering this spiritual change over the course of several postings in an effort to tie several aspects together, that have taken place over the course of years, without making each segment to lengthy to fully grasp. Please be patient and your understanding of how it all ties together will become clear once the series is complete. When I have completed the series, I will return to my teaching postings on the Fruit of Spirit. How people reacted to Christmas this year, which I will cover later, shows us that we are beginning to see the manifestation of spiritual change in America and other parts of the world. The winds of change are blowing, God is moving and God’s people need to be prepared. 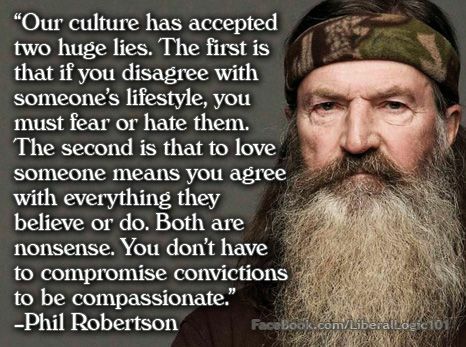 Some have wondered why I chose to post a comment on the site relating to the Phil Robertson and A&E Television controversy. I have never watched the show and knew little or nothing about the show until the controversy over this man’s comments became known publically. I will elaborate on this in another segment but how people in general reacted to the persecution, which is exactly what it was – as he suffered distress and lose due to his beliefs and for simply quoting/stating what the Bible says to be true, the reaction by people has been an offshoot of the spiritual frustration people have felt in America. That is why I chose to post something relating to the issue. Frustration is coming face to face with spiritual change. I would like to begin by bring your attention back to two earlier posts which took place in May and August of 2012. I have reposted them here and they can also be located in the blog’s achieves. One is titled “Question about Christian Community’s Survival” and the second is titled “The Next American Revival”. Again, I included these in the introduction because their content ties into the spiritual climate, spiritual move, and spiritual change, which became so evident this month. In order to impact and influence our society we must all be paddling our boat in a similar direction. We live in a time in history where the togetherness of the TRUE Christian Community is going to be vital to its health. The Body of Christ is being torn apart by an imbalance in its teaching or a flat out refusal to stand for God’s Standard on certain issues, the result being a loss of influence on and in our society. The world looks at us and sees so much infighting and so many wishy-washy beliefs that they have no interest in exploring what our Jesus has to offer them. Tons of once dedicated and devoted Christians and Christian Leaders have taken the concept of loving the world into the kingdom to the point that they have sold out God’s Principles and Standards along the way. We have lost our way as a collective group, many hearts have hardened and most are so guarded they cannot extend their arms to their brothers and sisters in Christ. Leaders are so worried that unity means selling out their beliefs that they are by default selling out Christ’s Church and purpose through their disunity. Christians with actual convictions and who actually believe the Bible to be true need stand up and state so – stop hiding, so cowering, stop loving the world and worldly people more than God and His Word. A bit of Christmas trivia for you. Many people do not think about it, or either do not know, but Jesus was most likely not born on December 25th but it is the day we have chosen to honor His Miraculous birth. Many scholars have debated the facts over the years regarding dates, age, and time frame but here are a couple of widely accepted details.